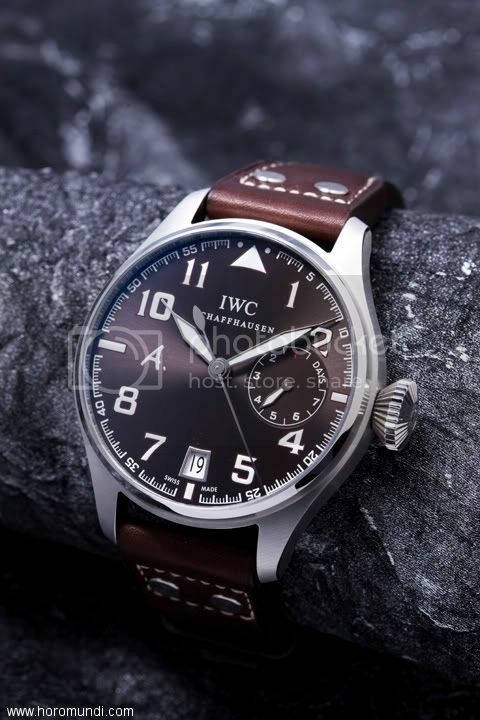 Thread: IWC Exupery - PR nightmare or "rewriting" history? 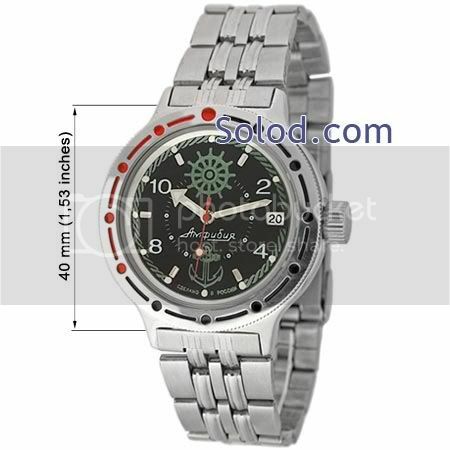 I was looking for a pilot watch with a warbird connection/theme. A Breitling Fighters Navitimer was an early idea but I preferred arabic numerals and they spelt Messerschmitt wrong on the caseback. A B-Uhr watch seemed an obvious possibility which drew me to IWC. I preferred the earlier 5002 version with the numbers similar to the Luftwaffe B-Uhrs, to the later 5004 versions but that power reserve sub dial just looked odd. I expect most of you know about Saint-Ex but here's the wikipedia link just in case - http://en.wikipedia.org/wiki/Antoine...t_Exup%C3%A9ry. Below is one of the Latecoeres he flew on the mail routes for what later became Aeropostale. Saint-Ex survived many crashes which is one reason why I can identify with his writing. 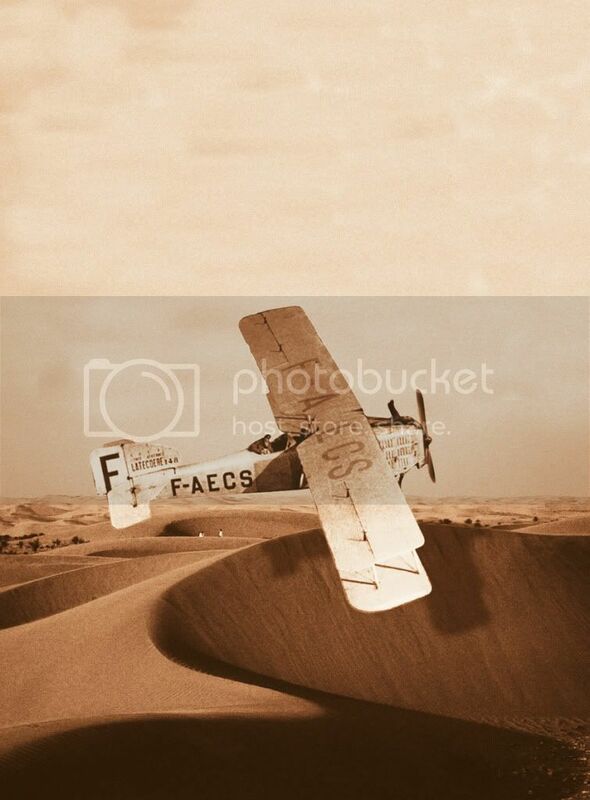 He wrote four books about pioneering aviation and "Wind, sand and stars" is often considered to be one of the greatest books of all time - it's certainly one of my favourites. In memory of Saint-Ex, IWC produced a series of four limited edition watches, which started off being named after his books. The first was an attractive chrono' after the book "Night Flight", which is the one shown above - note the "unhappy duck" at 12 o'clock on the dial! The next two editions, "Southern Mail" and "Wind, sand and stars" were not quite so successful. 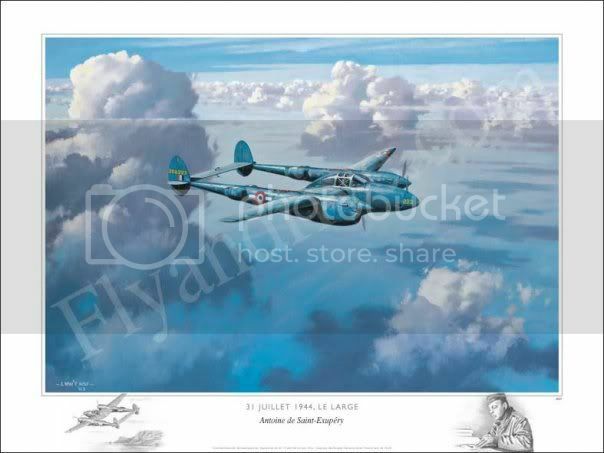 He did not return after a sortie on 31 July 1944 and his disappearance remained a mystery. Life magazine photographer John Phillips spent three weeks with him shortly beforehand and his famous pictures have beeen published many times, (ironically - see below) one being used for the relief on the caseback of the fourth and final IWC limited edition. It was fairly easy to guess that saving the best (and most expensive) until last, the final IWC Saint Ex watch would be a Big Pilot. Only one aviation title was left - "Flight to Arras" - but that was about his time in squadron 2/33 during the Battle of France, when many of his friends were killed fighting the Germans. Slightly odd then to have that book commemorated by a Luftwaffe B-Uhr lookalike? 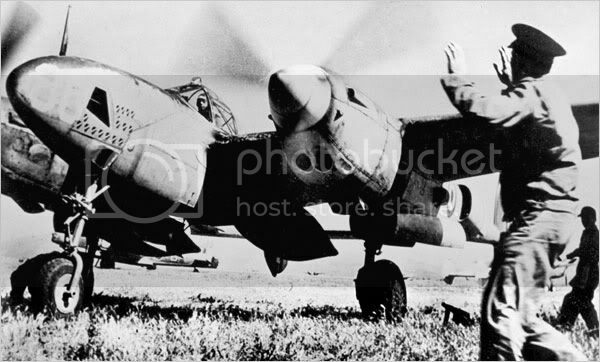 Even stranger, the caseback image is a John Phillips omage of him when he was flying the Lightnings, again, against the Germans. Then there was the PR nightmare for IWC. When they started the series the disappearance of Saint Ex was still a mystery but in March 2008, a Luftwaffe pilot confessed to shooting him down! There are doubts about that story but it must have caused a headache for IWC. Their solution - instead of calling it "Flight to Arras" they simply said it was dedicated to all his works. If I had any doubts about buying one, that certainly sealed it for me - I bought an EP 120! Here's what it looks like - again, note the "unhappy duck" at 12 o'clock. The RRP was £9.5k but the AD could sell it for £9k. Bearing in mind the ordinary BP is now £8.5k in Mappin & Webb's window, maybe £9k was quite a good price, then again, last year he could sell the standard BP for £5.5k, £2k less than RRP. What do you think about IWC now? I reckon they give away red Zissou-style hats with their divers - might sell a few more watches that way?! I'm certainly glad I bought the EP 120 and a Sinn 757 UTC as a beater. Best of all, it's opened up a whole new world of interest with ATG and I've met a great bunch of folks along the way. Just one watch? How naive and what a big mistake that would have been! Yep, you're probably right Mat! Not sure what Saint Ex would say about it all - raise an eyebrow, shake his head and smile? IWC were keen enough on the warbird theme when they launched the first chrono' - they invited the journo's down to Goodwood and took them up in the Harvard. Perhaps they should donate funds from the Cousteau divers towards restoration of the Calypso? Maybe they do make a sort of Little Prince watch - what about that Big Pilot "Father and son" pairing?! Haven't they done something like that already for the Aquatimer LE Galapagos Edition? The Steve Zissou LE would be awesome tho... perhaps with an engraved back showing Esteban being eaten by the Jaguar shark? Plus a pair of Team Zissou Adidas trainers? Big hole in the Calypso now as they needed to use a big piece for all those LE Aquatimers with the sliver of the boat in the case back. Lol! Really? Good news. Do you know if it's finished yet? I thought that there was a dispute over ownership of the Calypso, involving the family and a third party? LOL Mat, what a great film - it's so hard to watch Jacques & Co now. 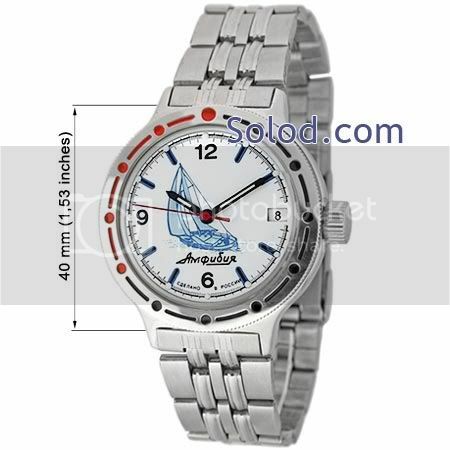 Talk about an eye for detail - Zissou wore a Vostok (Amphibia?) according to someone on a Russian watch forum - he obtained it from a pal who organised the props I believe. It was probably the one they call a "Scuba dude" - I'll check next time I venture east. Whoever picked these as props had a great sense of humour and must have known their watches. The Vostok is the perfect diver for Zissou, compared with all those fabulous but expensive divers Cousteau and Co used to wear. IWC have made some great timepieces. I appreciate their designs and especially the quality of their watches. Any time a brand does a limited edition based on a historical character (much less a writer of great renown) my viscera react negatively. I think it reduces any credibility that a watch manufacturer has earned to try to cash in on someone else's image. In fact, I think it takes a bit from that character, image, or period. For example, I like Oris' GP70 but it is still a lame attempt at currying more sales. That said, I might get one eventually just because I like the design. Oris has made several war-themed watches, too, none of which I really understand. I understand why Omega references their Speedmasters to moon missions, but to be honest, I wish they would drop it. The special effect for me wore off twenty years ago. The three-subdial IWC is a nice piece by itself. I wish they had not tried to make it an homage to Antoine Exupéry.